Brynn Berry and Jessica Gannon are both master-level students from the Brown School of Social Work at Washington University in St. Louis, an MSG partner since 2013. Jonathan Berry is a graduate of the Mortenson Center for Engineering for Developing Communities at CU at Boulder. 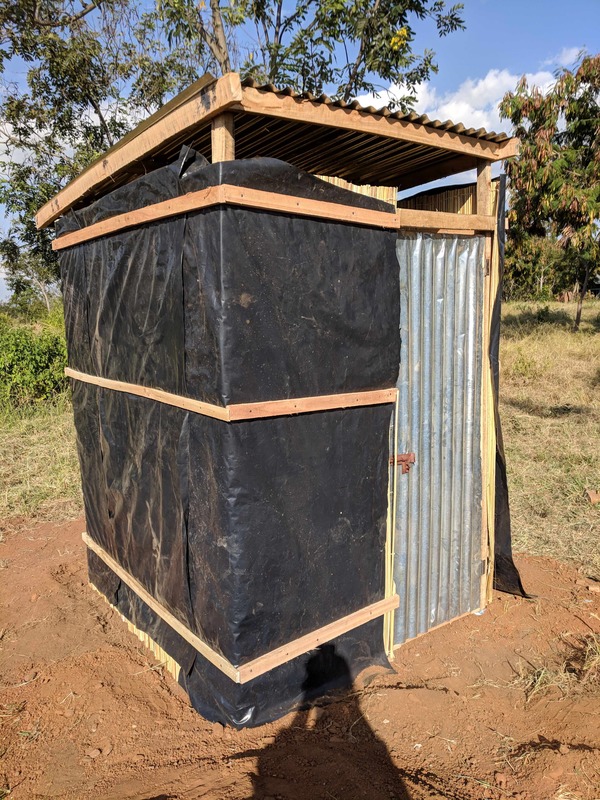 Jonathan is providing technical support for the Arborloo Toilet grant Maji Safi Group received from Friends of Tanzania. 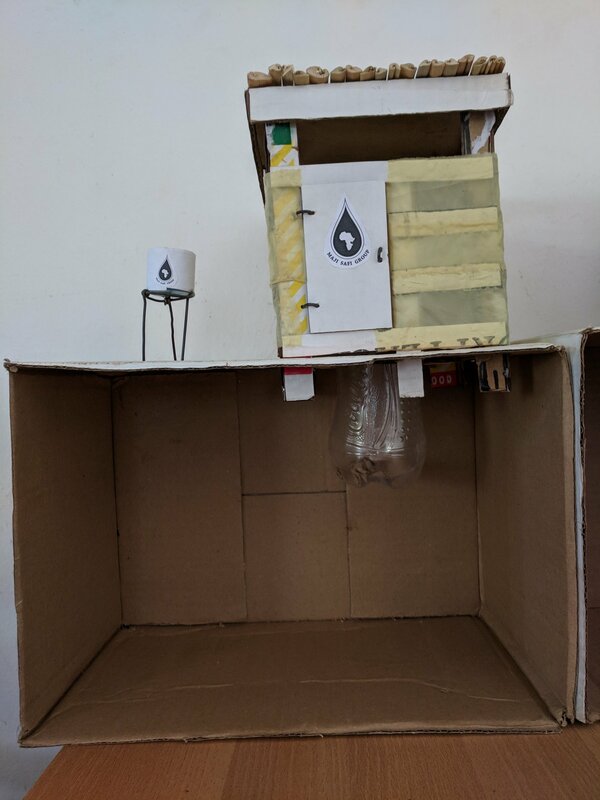 Brynn and Jessica have contributed greatly to the artistic aspect of MSG’s work with spreading awareness about preventing disease and adopting healthy WASH habits. My name is Brynn Berry. My friend Jessica and I have been working in Shirati since August and have the privilege of working with Maji Safi Group (MSG) until the end of December. 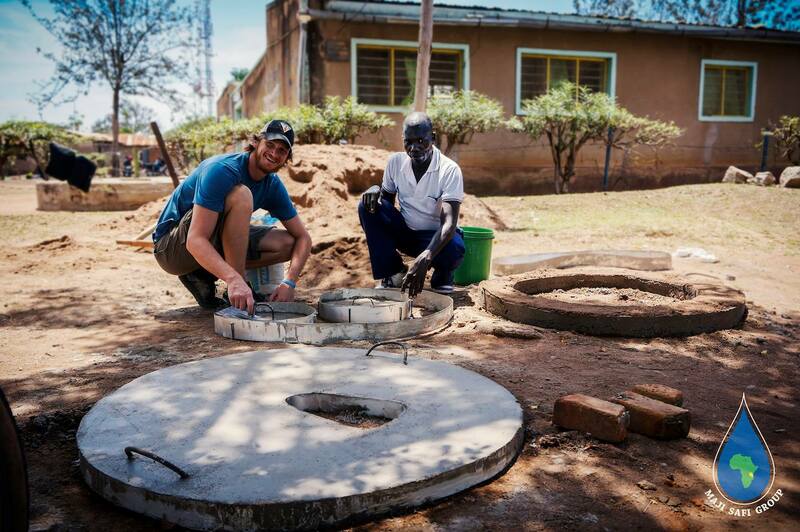 My husband, Jonathan, has also been able to join as a volunteer for MSG’s Arborloo toilet project. Most of my work at Maji Safi Group consists of editing, curriculum design, and various art projects. However, before elaborating on my work, let me introduce you to someone much more talented than me. MSG currently employs a local Tanzanian artist named Jacky. 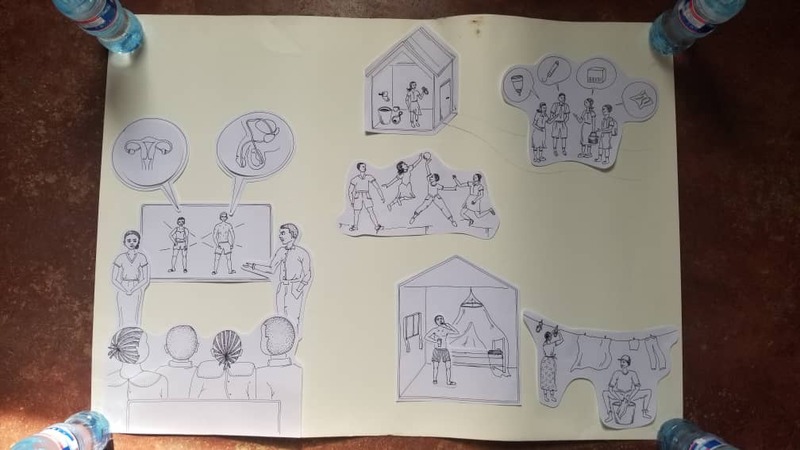 Jacky is a brilliant illustrator, succeeding to capture the culture and vision of the community in his work while providing a visual platform for the dissemination of WASH education. Jacky’s work decorates the Maji Safi office, local hospitals, and primary and secondary schools in the area. MSG aims to complete six more murals before the end of the year. 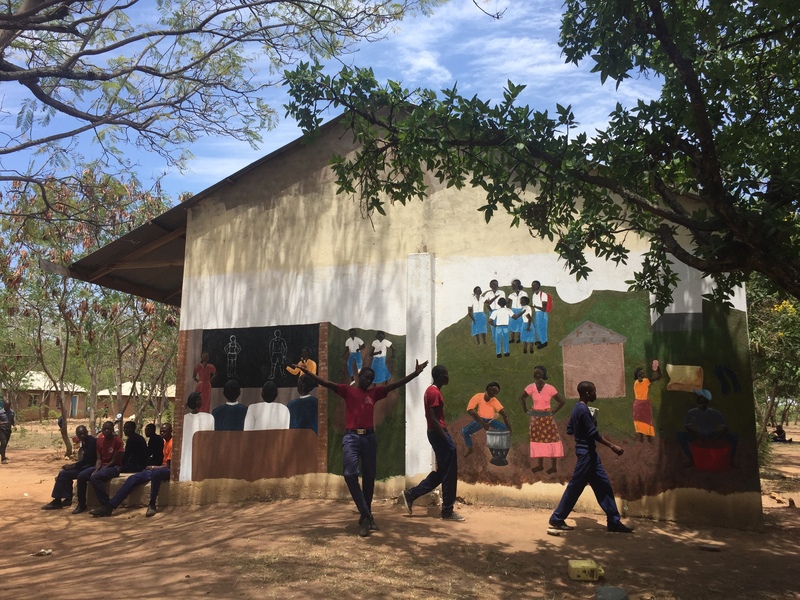 Jessica and I are assisting in the creation of one mural at the local Katuru Secondary School. The mural will serve as a learning tool for students and community members passing by. I also plan to assist Jacky in the planning stages of the creation of additional murals. The planning process for mural design is structured to allow a variety of stakeholders to voice their ideas. This participatory approach allows for bottom-up inspiration. Step 1: MSG’s Community Health Educators (CHEs) provide a list of suggested images/values to be painted. Step 2: Jacky or I create a sketch of what a mural could look like based on the CHE suggestions. Step 3: Artists invite MSG staff to interpret the mural. This stage reveals any changes that need to be made. This stage was particularly valuable to me as it highlighted several cultural differences that were revealed in my artwork. 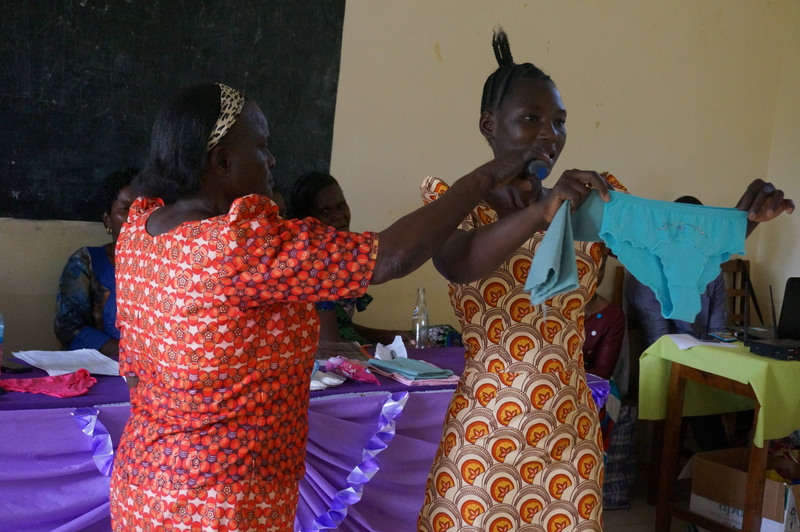 For example, a common menstrual care product used in Shirati is kitamba (cloth in Swahili) which needs to be included in female hygiene education. Step 4: Artists edit and revise drawings. Step 5: CHEs label and narrate mural in Swahili. Step 6: MSG presents the sketch to school/hospital administrators and choose a wall for the mural. Step 7: Artist, mainly Jacky gets to work. In addition to mural design, I am busy creating educational booklets that will be used for menstrual hygiene management programming. Maji Safi Group is excited to announce that we have received a grant from Dining for Women, a global giving circle that funds grassroots organizations, to introduce menstrual cups (kikombe cha hedhi) to the Mara region. Menstrual cups will be purchased from a local Tanzanian distributor, and booklets will be given to girls receiving the cups. My work involves content development for the booklets and graphic design work to illustrate the pages. The design process is fun and exciting. It demands a conscious effort to create culturally appropriate images and communicate WASH education in the best way possible. Thank you for your incredible support and interest in our work here at Maji Safi Group. 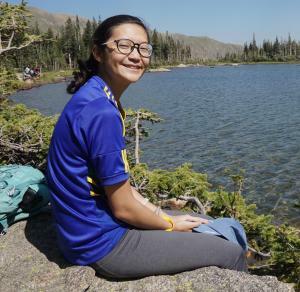 Naomi Chang is currently getting her Master in Environmental Engineering at the University of Colorado at Boulder. 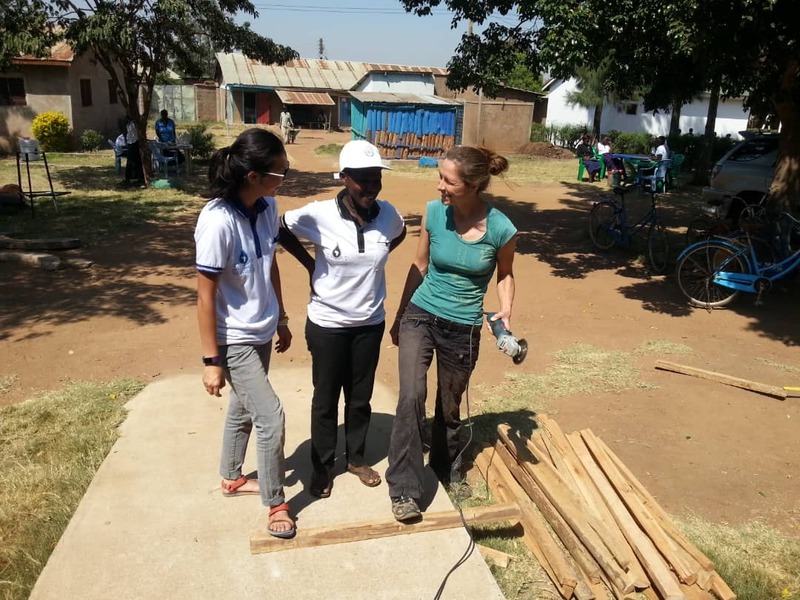 At CU, Naomi is part of the Mortenson Center in Engineering for Developing Communities, and unlike most students in her program, she wholeheartedly believes in the importance of hygiene education. This is largely due to experiences from living abroad during her service in the Peace Corps from 2014 until 2016. Our common interests led Naomi to MSG for her summer practicum experience. Naomi also received a Boren Fellowship to improve her already seasoned Swahili skills by working with MSG’s staff on a daily basis. Tanzania holds a special place in my heart. I spent two years in a rural village in central Tanzania as a math and science teacher, creating bonds with students, teachers, and other community members. So, when I was given the opportunity to come back to Tanzania and work with Maji Safi Group, I immediately jumped at the offer. 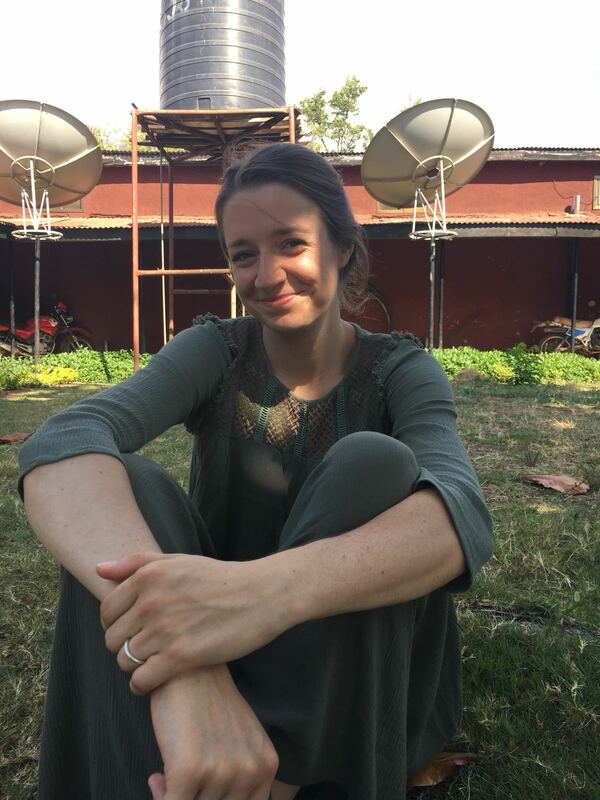 As the time came closer to my arrival in Shirati, I became more and more nervous ̶ afraid that my previous experience was unique, and I wouldn’t be able to connect with the people of Shirati like I did with those in my old village. I was so wrong! I immediately felt welcome in the Maji Safi family, with several Community Health Educators (CHEs) treating me like a daughter and others like a sister. Not only were they welcoming, they were dedicated and passionate about their work. I was able to participate in almost all the programs offered by MSG, watching firsthand as the CHEs took the time to fully explain waterborne diseases and their symptoms, how to prevent transmission, and how to filter and treat water. At one primary school, the topic for the week was menstrual hygiene management (MHM). I was curious to see how the CHEs would approach this sensitive topic, because I know it can be an uncomfortable topic for many. 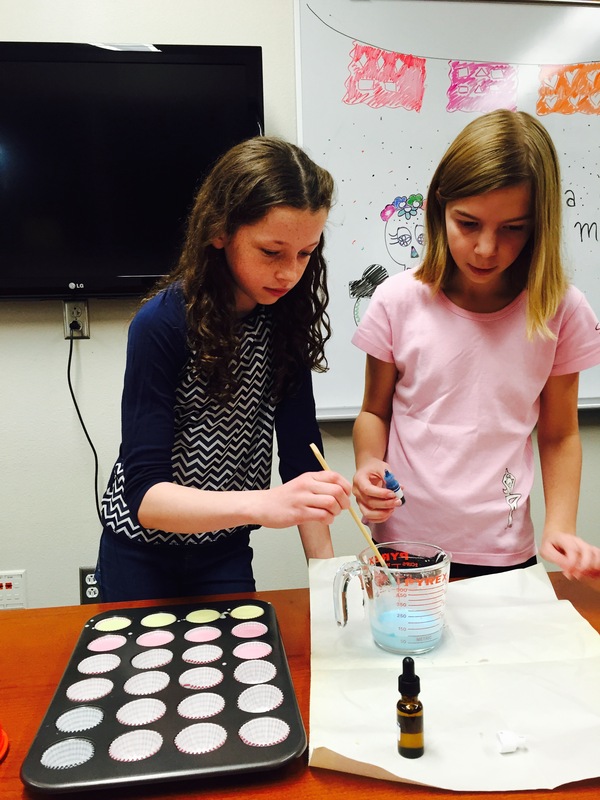 To my surprise and delight, the CHEs were able to create a safe space for girls and boys to openly discuss the topic of menstruation, while injecting humor into the subject. Boys and girls were called on to respond to questions and to demonstrate how to attach sanitary pads to underwear. 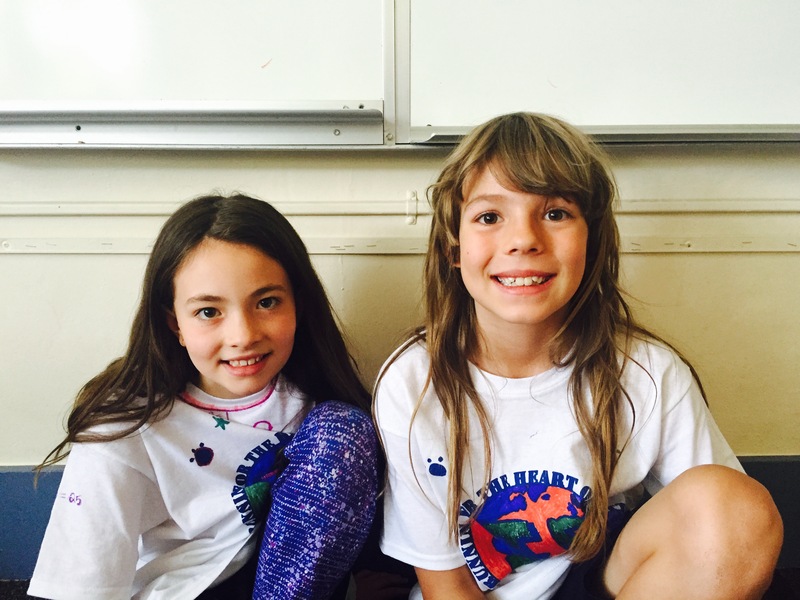 This education is integral to normalizing menstruation for future generations. MSG also has a great relationship with a school for children who are speaking/hearing impaired. The CHEs have adapted their lessons to better teach these students, and some CHEs are learning sign language to further facilitate the transfer of knowledge. 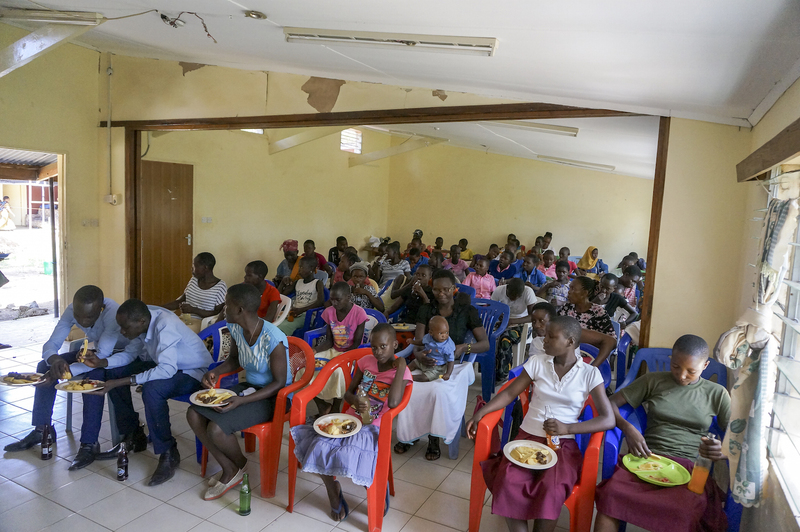 In a country where people with disabilities face stigma, it is great to see that MSG has provided the opportunity for community members to interact and create relationships with them. I also remember walking to Lake Victoria and getting lost on my way back. Thankfully, a young lady was walking to the Lake and offered to take me to the main road. While we were walking, she asked if I had swum in the Lake. I responded by saying I was afraid of getting bilharzia. She smiled and then launched into the symptoms and transmission of this disease. Shocked, I asked her how she knew all of this and she replied, “Maji Safi!” To me, this was further proof of the excellent outreach and educational programs that Maji Safi Group provides. To see that a random person was able to correctly tell me the symptoms and transmission of bilharzia shocked me and points to the efficacy of Maji Safi Group. A typical scene at the shores of Lake Victoria. 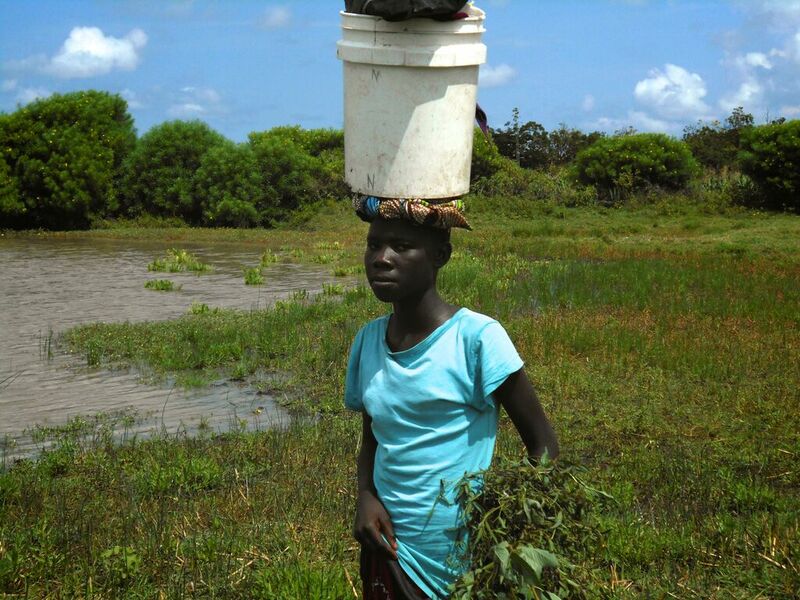 Women who have not received Maji Safi Group’s education about preventing bilharzia often expose themselves to this disease by going in the parasite-infected water to wash dishes and laundry. It is impossible for me to paint the full picture of the dedication and passion of each of the CHEs at Maji Safi Group, but my experience working with them for three months was an excellent reminder of why I chose to pursue a career in international development. To celebrate Maji Safi Group’s five-year anniversary, we are continuing our series of guest bloggers from the Maji Safi Group (MSG) community. 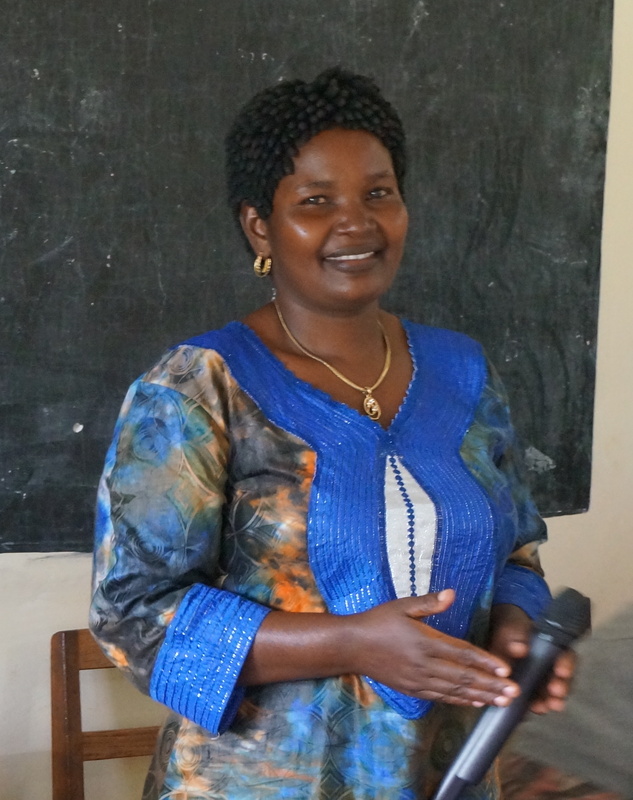 Our second guest is Angelister Mwinuka, matron at Katuru Secondary School in Shirati. 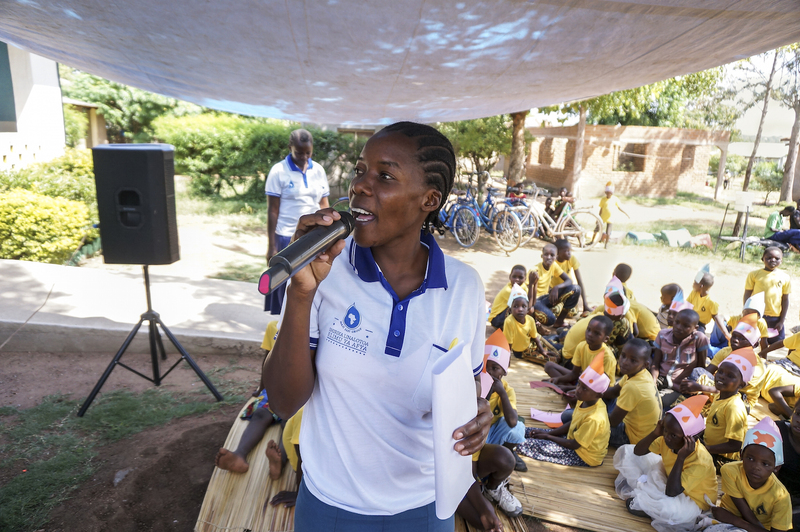 MSG has been working with Katuru for several years now, and Angelister Mwinuka has been an extraordinary partner in breaking the silence about menstrual hygiene and bringing awareness to the importance of school attendance. 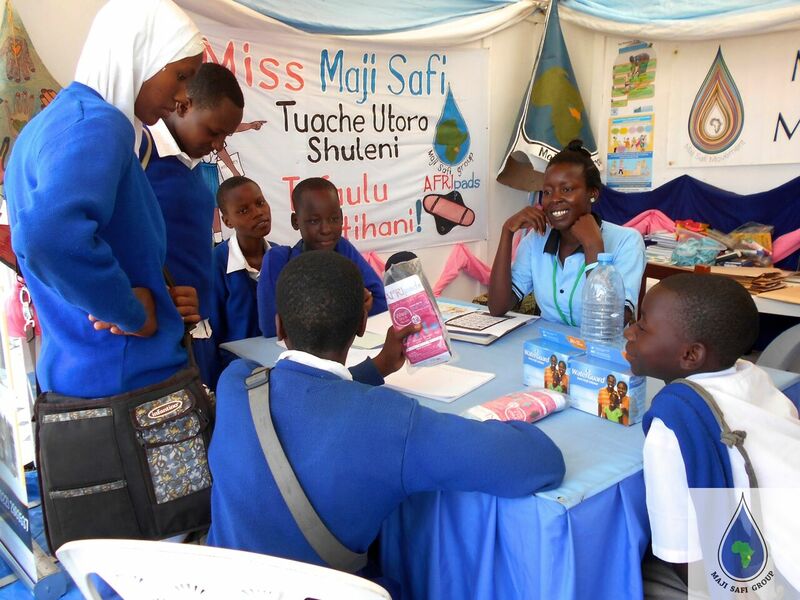 In March this year, MSG opened Female and Male Hygiene Clubs at the school. The clubs will continue the positive changes and the more welcoming school environment MSG’s programs have facilitated. 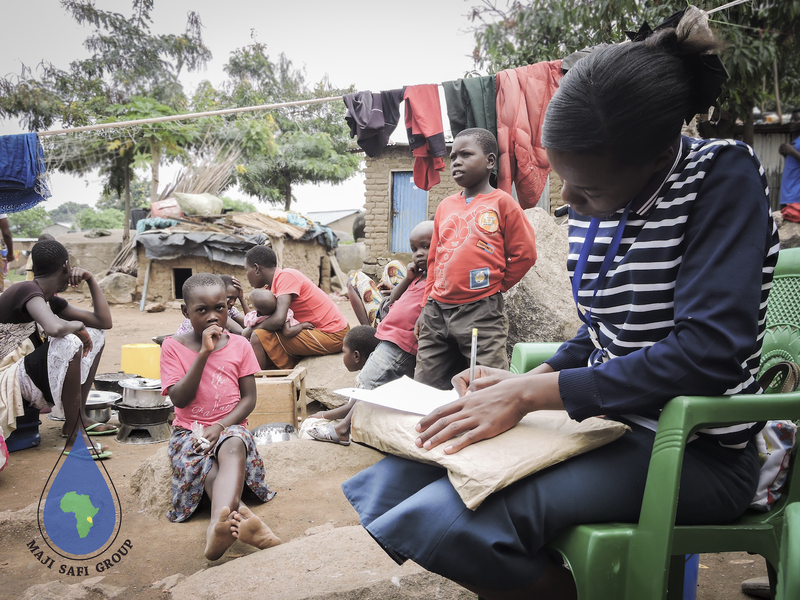 We hope you enjoy reading about Angelister Mwinuka’s inspiring experience and knowledge. 1. 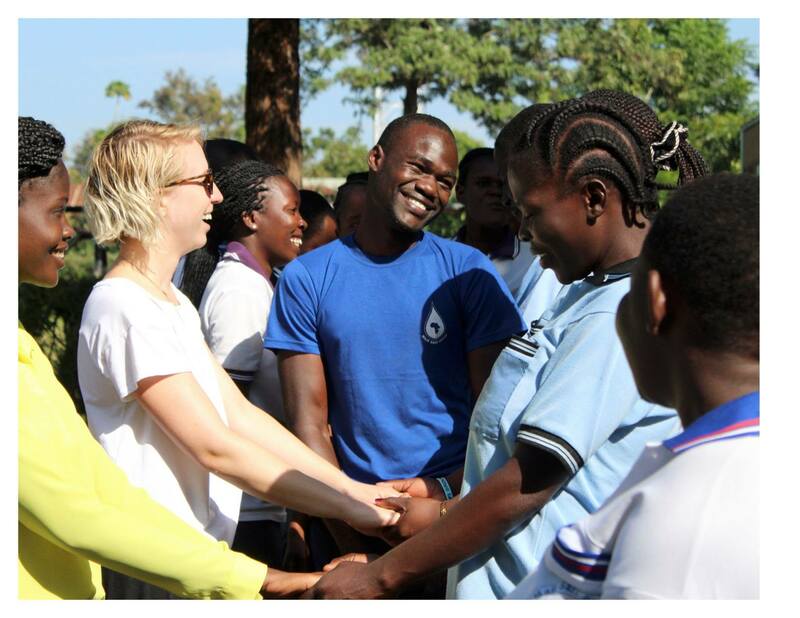 What changes have you seen in students at Katuru Secondary School since partnering with MSG? Since MSG started, we have seen an increase in attendance rates, and the girls have learned how to keep themselves clean at all times. 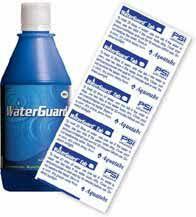 We now have supplies to stay healthy, like water and soap, and we have extra pads if students need them. Since MSG came, girls are in class more, and fewer girls have asked for permission to leave and go home because of menstruation. I have also noticed that more girls are passing their exams. Additionally, as a school, we have started small income-generating projects, like farming vegetables, to help pay for feminine supplies like pads and soap, so the products are continually available. 2. 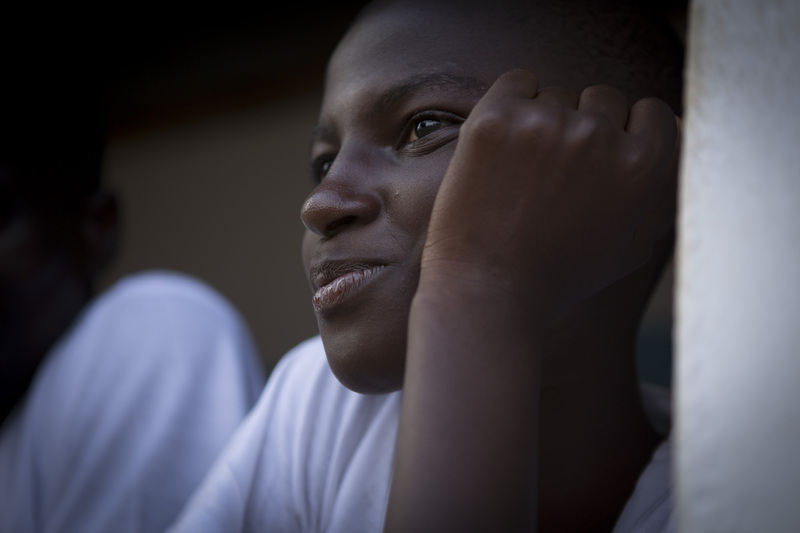 What changes can MSG bring to schools in Tanzania? MSG can bring a big change. If people learn about WASH and their bodies, it will help prevent diseases. Students and parents will know more, and they will be able to work better because they are healthy and don’t have to spend money at the hospital or stay home sick. Healthy students are also able to sit in class for longer, concentrate better and therefore, perform better. 3. In your opinion, what issues have menstruation brought to Katuru students? During menstruation, female students are not comfortable, and they are embarrassed to be at school around boys. 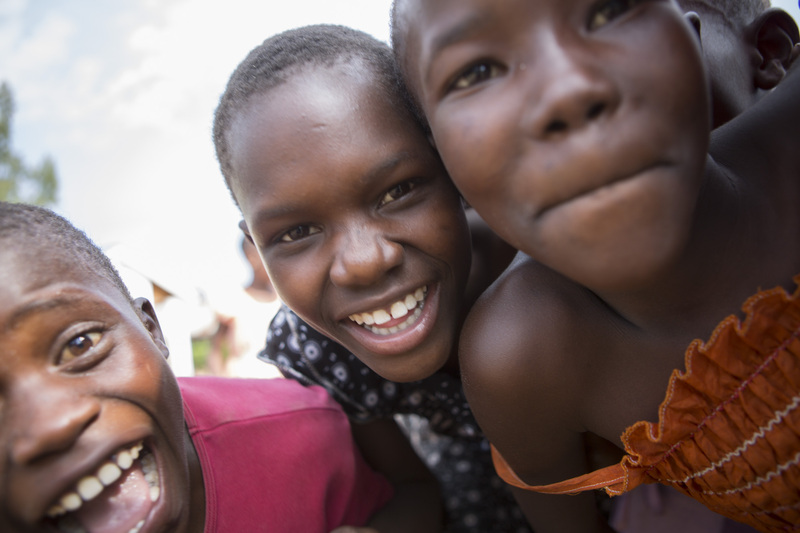 They have pain during their period, which makes them stay home from school. They feel even more uncomfortable when they don’t have the right supplies, and they feel more comfortable at home since there is no place to change their pads at school. If they stay at home because of pain or lack of resources, they miss the lessons. This causes women to have lower passing rates than men. 4. 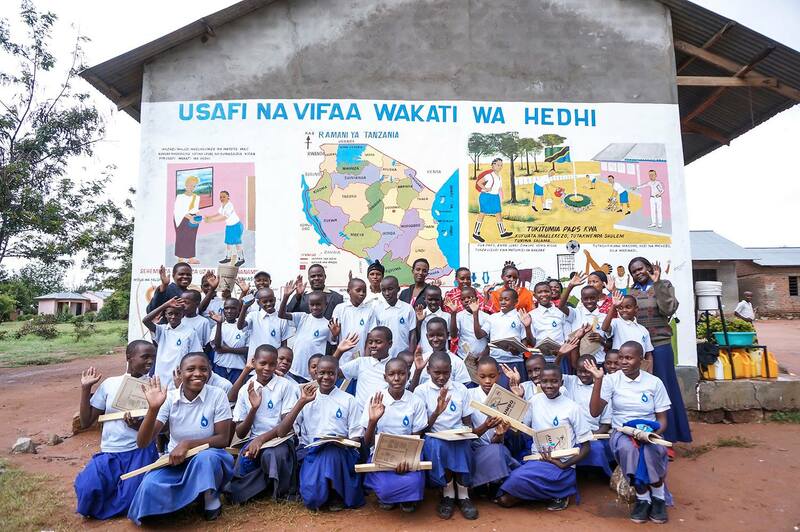 What are the things that schools in Tanzania really need? There should be enough education about menstruation to explain that it is not a disease and to help young women understand themselves better. Schools should have enough supplies to enable girls to stay in school during their period (pain meds and pads), and schools should have enough water and clean toilets. It is important that the girls have a place to wash their hands and get dressed, so they look nice when they come back to class. There should also be enough education for women and parents and more attention on how to educate girls and keep them protected while they go through puberty. It is often their parents who decide to keep them at home, and then they miss classes. The parents need to help support their children, so they can reach their potential. 5. In your opinion, what are the ways MSG helps people in the Rorya District? MSG brings new ways to spread education, so the whole community gets the necessary knowledge and makes changes to the environment. When people understand how to prevent disease, they can see opportunities for change all around the community. It would be great if MSG could also teach outside of the Mara Region because people would live in a healthier environment, and it would help the economy. Hopefully, MSG can go to Tabora and Dodoma and even Dar es Salaam, so people can understand their own health and help build a healthier country. 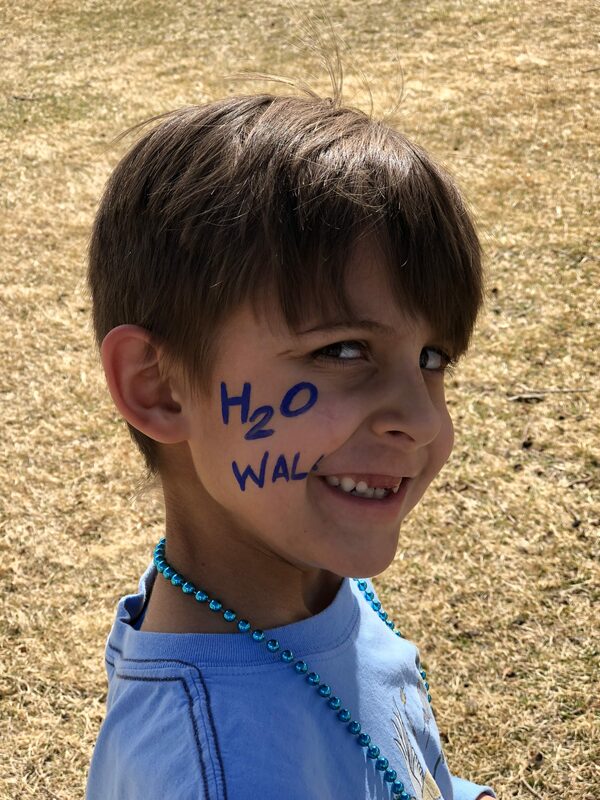 At Maji Safi Group, we were so inspired by the students at Monarch K-8 School in Louisville, Colorado, who walked on World Water Day to call attention to those without safe water! 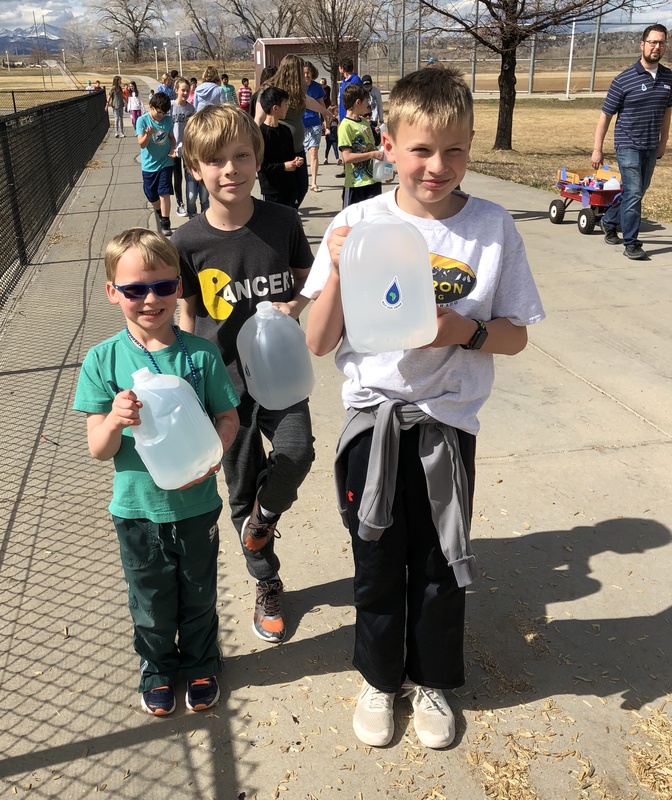 Kindergarten students, paired with fifth graders, wore lots of blue and carried one-gallon water containers to shine the light on the world water crisis and those who walk long distances each day for water. How can other schools do the same? Here’s a bit about Monarch’s success. 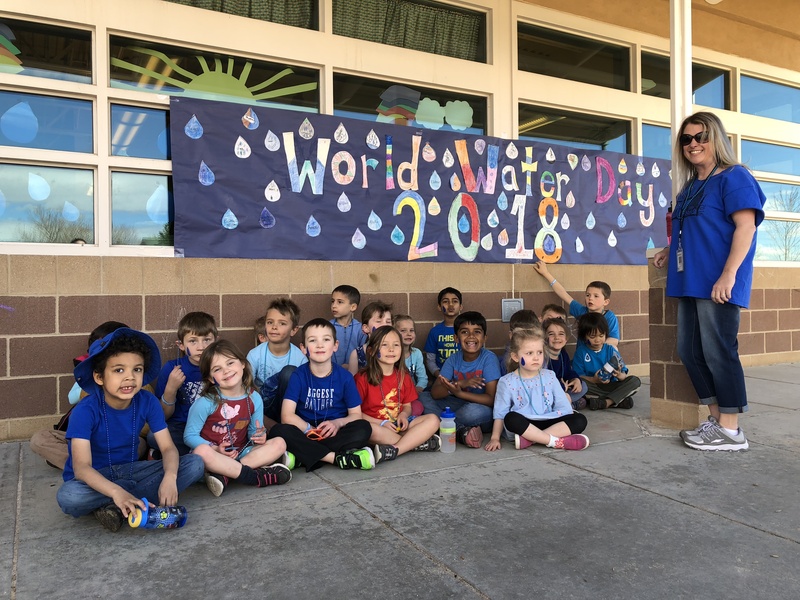 For months leading up to World Water Day, kindergarten teacher Alison Adams sparks her students’ awareness and empathy. She teaches them about children just a bit older than them, who need to walk miles each day to fetch heavy containers of water for their families. But what if that water is very contaminated and makes the children ill? 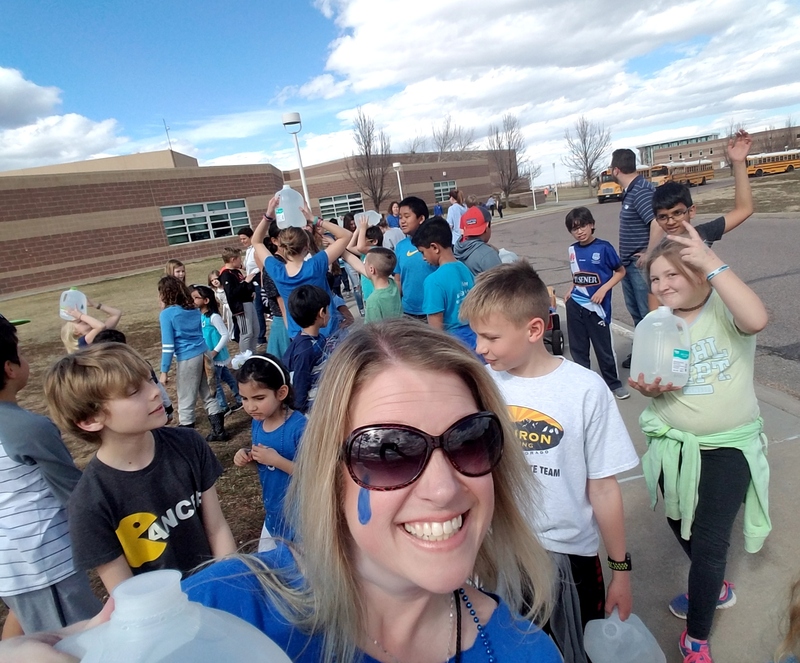 “It’s hard for the students to imagine not being able to grab a water bottle or simply walk over to the fountain or sink. The beauty of 5-year-old children is their curiosity, innocence and untainted belief that they can do anything,” Adams said. Alison Adams during the Water Walk. 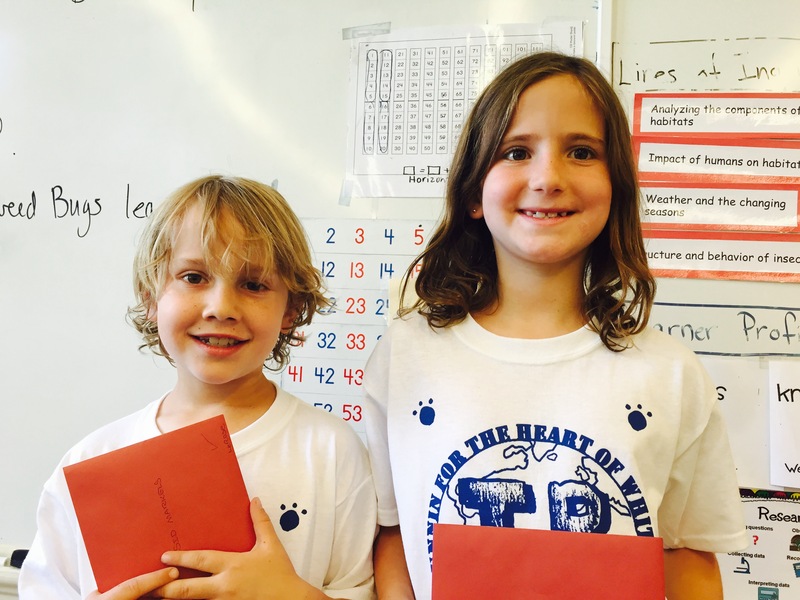 “Our students ask why other children can’t have medicine to get better. They say things like, ‘They can have my water bottle,’ or ‘Let’s buy them bottles of clean water’ and ‘I will help them carry it!’ They genuinely mean it. Adams then talks about organizations that can help and how students can get involved, including by doing a water walk. 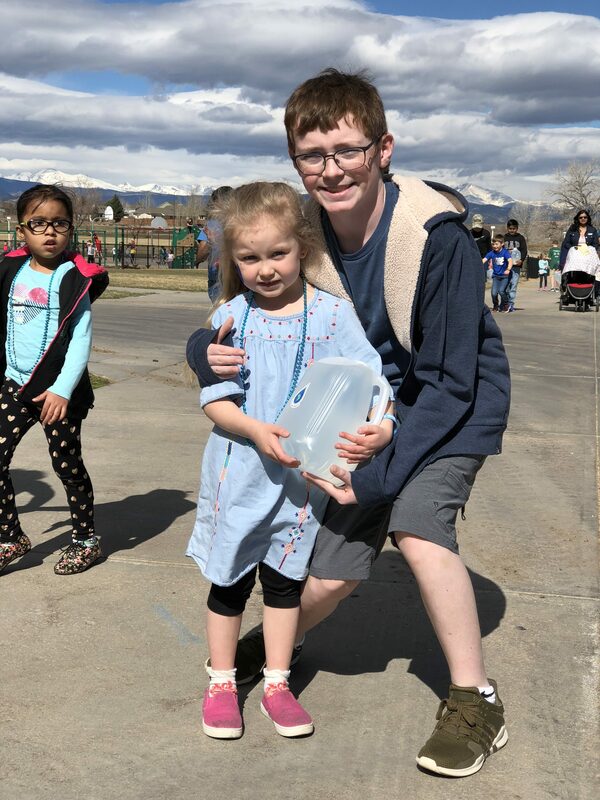 This year, Monarch students raised $850 for Maji Safi Group, thanks to Adams’ leadership – enough to buy 28 water filters to provide program participants with clean drinking water! Community Health Educator Caroline teaches about ceramic filters on World Water Day 2017. To celebrate Maji Safi Group’s five-year anniversary, we will be featuring several guest bloggers from the Maji Safi Group (MSG) community this year. Our first guest is Craig Hafner whose successful global WASH career has spanned over five decades. Craig has always been a huge advocate for the “software” side of the WASH sector, believing that the most lasting and meaningful changes occur when behavioral change is given priority. MSG has been blessed to have Craig’s mentorship during our first five years, and we look forward to continuing to work with him. We hope you enjoy reading about Craig’s vast experience and knowledge. What are your biggest takeaways from your 40 years in the WASH sector? 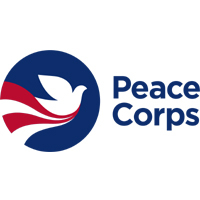 My WASH career started in 1978 when I was hired as the first WASH-sector specialist for the Peace Corps. Throughout my career, infrastructure has always been the first thing people wanted to fund and the easiest. However, there are huge issues with the sustainability of projects, and they have not had any real impact. For real impact, you need to change people’s behaviors. 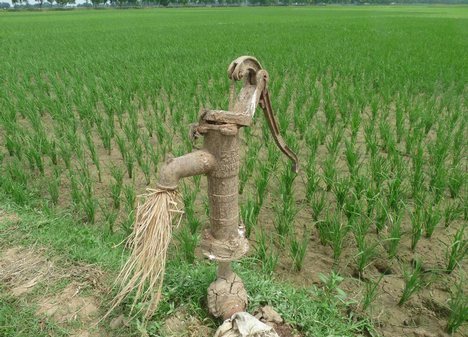 In the 1980s, the new big thing was the ultimate hand pump designed by engineering schools with a technical mentality. Additionally, a lot more money has gone into disease treatment and drugs rather than prevention, which is much cheaper in the long run. Another major barrier for the WASH sector has been the institutional arrangements and the challenges of the overlapping sectors that make this field so multi-disciplinary. If you want to create actual impact on health, you can’t just have the Ministry of Water in charge of WASH – you also need the Ministry of Health and the Ministry of Education. If you don’t have this collaboration, it falls apart. This makes it difficult because it is hard to get people to communicate across ministries; there is a strong silo effect, and each ministry has its own priorities. I am proud to have pioneered some of this collaborative work through the WASH and environmental health projects I worked on with USAID for 20 years. I believe many of our projects were exceptionally good, and we were the first multisectoral projects done by USAID in 1980s. USAID has since used this model with their major grants and continues to bring professional firms on board to perform different specialties. What are some seminal moments during your WASH career that have shaped your thinking? 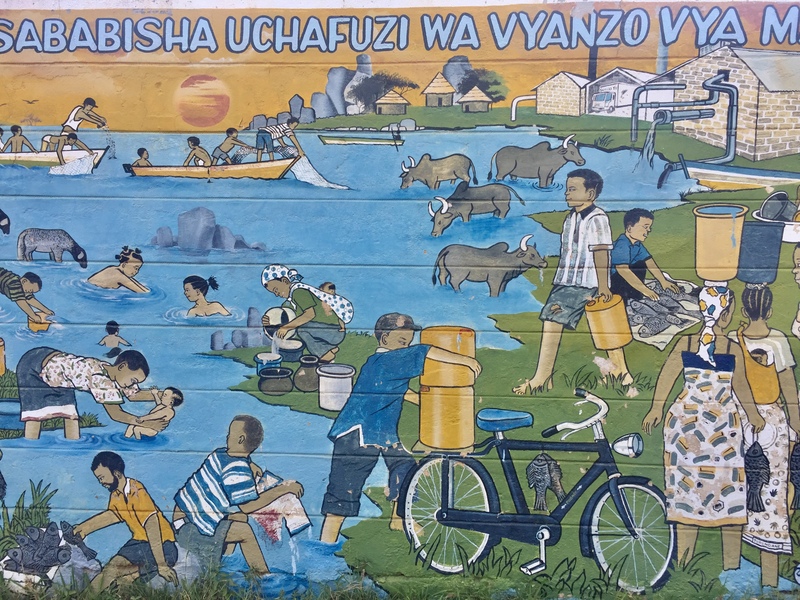 The first experience that got me interested in WASH was carrying water as a Peace Corps volunteer in the 1960s at the school in Tanzania where I was teaching. 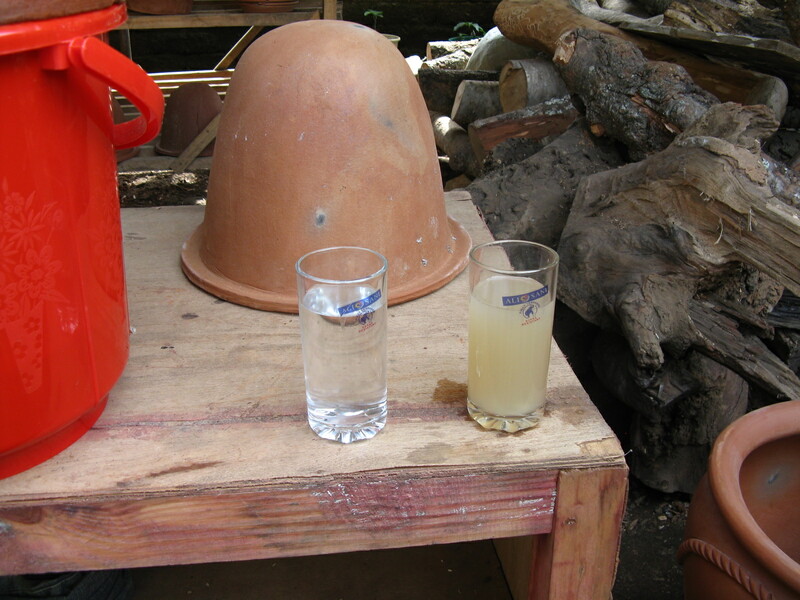 After a few days, I hired a young man to fetch it for me and realized what a huge problem water was. Later, while I was working in northern Kenya on a medical mission during my master’s work on the Turkana tribe, I also saw first-hand the impact of drought on people and the desperate need for clean and clear water. 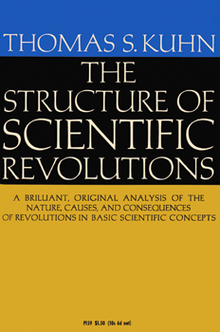 Working with Gilbert White at the University of Colorado was career changing, and one moment I remember vividly is when I was given the book The Structure of Scientific Revolutions, by Thomas Kuhn, 1962. It taught me about paradigms in thinking and how every so often, these paradigms shift when people look for new ways of approaching a problem. I always respected the interdisciplinary approach Gilbert White brought to WASH and his focus on behavioral sciences at CU. One instance that stuck out was when I was consulting for World Vision in the late 1980s in Ghana and visited their well-drilling rig. They had only done 2-3 days of outreach and preparation in the community after I had been advocating for 9-12 months of education (which was probably too short). Two of my proudest achievements have been helping start Friends of Tanzania 27 years ago, which has been worthwhile and successful, and representing the Peace Corps when the UN launched their Water Decade in 1980 because they were going to solve the problem by 1990. Unfortunately, that did not happen, and I have seen many examples of unmet goals like that. For example, the Carter Center was going to eliminate the guinea worm disease by 1990, then 1995, then 2000, but is still working on it because of the difficulty of changing people’s behaviors. What aspects of Maji Safi Group have turned you into a supporter and advocate? What first attracted me to MSG is the undertaking of attacking the lack of behavioral change in the WASH sector. I have thought for a long time that the fundamental issue around WASH is behavioral change, and I have not seen that much of that. Keeping in touch with various ideas and efforts has been intriguing, and I am excited to continue to follow MSG for two main reasons. One is to see if it is going to be successful, and two, are people going to look at the model and say that they need to adopt more behavioral change into WASH projects. What role do you think women play in the WASH sector, and how has that changed over your career? 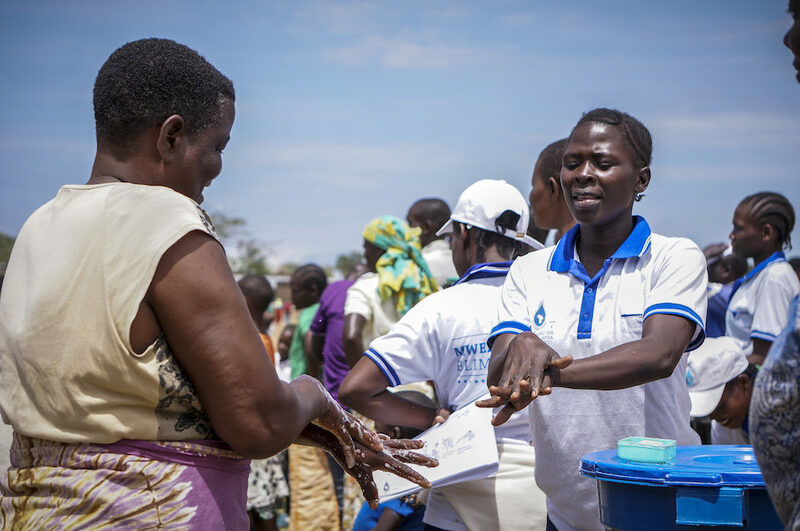 This has been talked about in the sector since the early 1980s when Mary Elmendorf, a USAID consultant, was advocating for women’s role in WASH. For a long time, people have payed lip service to it. First, it was that you have to have a woman on a project committee; then, it was that a woman had to be the treasurer; and then, it was that a woman had to be leader of the committee. But it has been slow and gradual and has a long way to go as with many feminine issues in society. Having women take over more responsibilities and taking more of a leadership role is very important. I have yet to see many successful female project managers of WASH projects, but hope to see that continue to change. MSG has always put women at the center our WASH work at every level. Over 75% of our staff are women, and as you can see they mean business. Bill Gates has referred to behavioral change as the hardest thing his foundation has tried to address. Why do you think that is? To see how difficult it is, you can just look at issues like people giving up smoking and questions of obesity around the world. Getting people to alter their behaviors is a difficult thing to do. Lots of studies in many different contexts have gone into this for many years, but no silver bullet has been found. People have habits and are influenced by peers and society. Getting people to make fundamental changes to the way they live their lives has always been difficult. 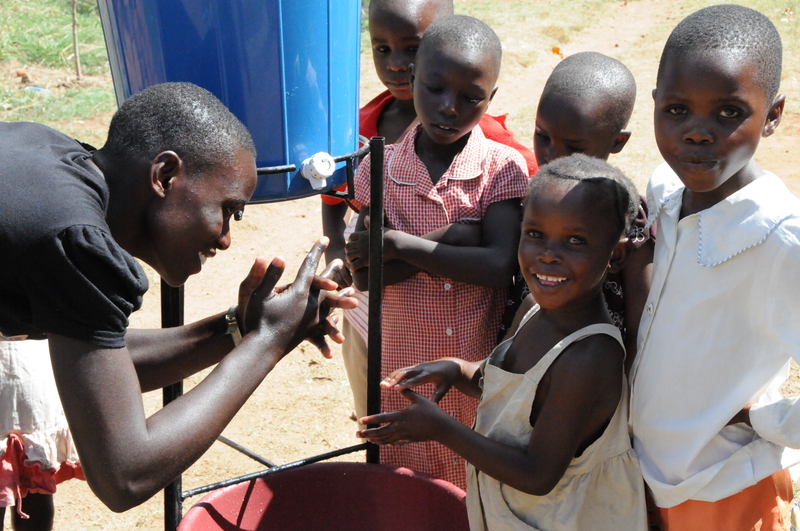 What do you think effective WASH behavioral change campaigns do? I have been encouraged by Maji Safi Group’s progress since you started, and you seem to be making inroads, but while working in the WASH sector, I have not seen many success stories. Dr. Valerie Curtis, professor at The London School of Hygiene and Tropical Medicine, has done some good work over the years, but good examples and successes on behavioral changes have been hard to come by. If you could change one thing about the WASH sector, what would it be? 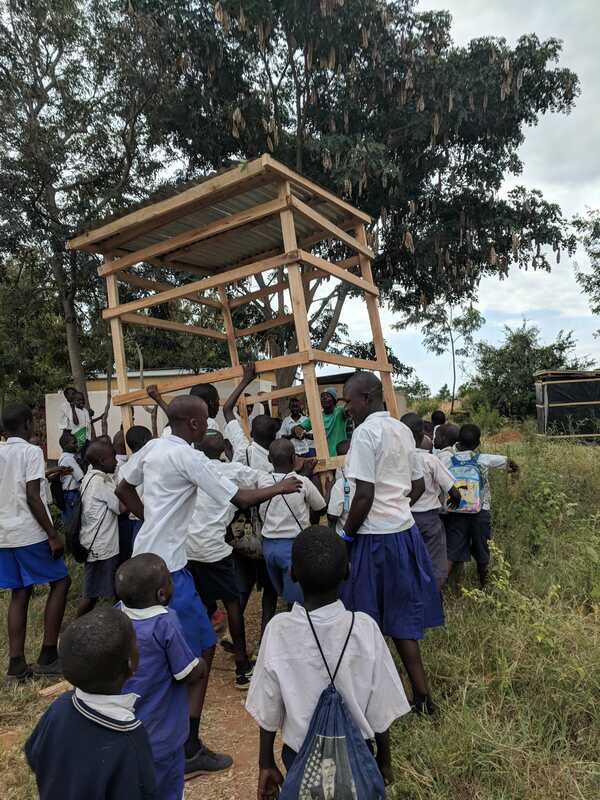 Rather than keeping behavioral change as an afterthought or add-on to the technical aspects of WASH projects – maybe 5% of a budget – you should build WASH projects around community education initiatives and put 25-30% of the budget into behavioral change campaigns. What do you think good projects and organizations usually do well? Good projects I have seen were planned with the community up front and were engaged in the community. This is key, so the community has a sense of ownership in the project, which leads to sustainability. Having effective management of the projects is also critical to make sure you have systems that provide good checks and balances for the expenditure of funds. If an engineer has a salary of $5,000 managing the budget of a $100,000 project, there is a high chance of mismanagement, so checks and balances are essential. I remember meeting a paramount chief on a trip in Sierra Leone who wanted another water project for his community. I learned the history of the village from him, only to find out that his porch was made with the pipes that were supposed to be for a previously provided community system! Successful organizations have also had good outreach and a collaborative approach to dealing with the needs and interests of others. Learning from what other organizations are doing to solve similar problems is essential as well as being open to new ideas and approaches. There is no problem with taking the ideas of others and running with them and being flexible with how you are planning things. Staying in touch with the newest ideas and models to find best practices is important. Finally, being willing to continue doing hard assessment on a regular basis, taking responsibility for failures, learning from your mistakes and being willing to move ahead is key. For WASH specifically, it has to be an interdisciplinary effort, and if you want to affect health outcomes, you need a collaborative approach that can’t be dominated by the engineers. You have been involved with development work in Tanzania for over 50 years. What are common mistakes you have seen organizations make? Through my long-time involvement with Tanzania, I have noticed a lot of things, but in general, I think there has been a lack of community involvement and communication, which has led to a lack of ownership. I think the book Watering White Elephants, by Ole Therkildsen of the Scandinavian Institute of African Studies, 1988, is a real indictment of funding water projects that were not sustainable. 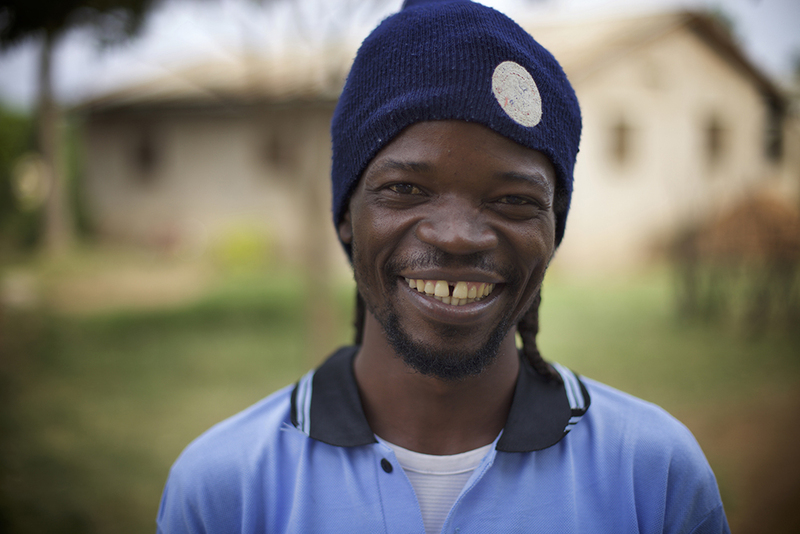 One major difference I saw between WASH work in Tanzania and Malawi was that the people who were in charge of building water systems in Malawi were from the Office of Community Development, so there was much more local buy-in than there was in Tanzania. Over the years, I have also seen the perverseness of organizations paying increasing sitting fees for workshop attendees, and this is especially prominent in Tanzania compared to other countries. I see it as a failure in development. To pay people salaries, per diem expenses and other allowances to get training is inhibiting. Dealing with the levels of corruption in Tanzania has always been a challenge, and as a country, Tanzania has often had a really low international rating. 2017 – Another Successful Year of Fundraising! 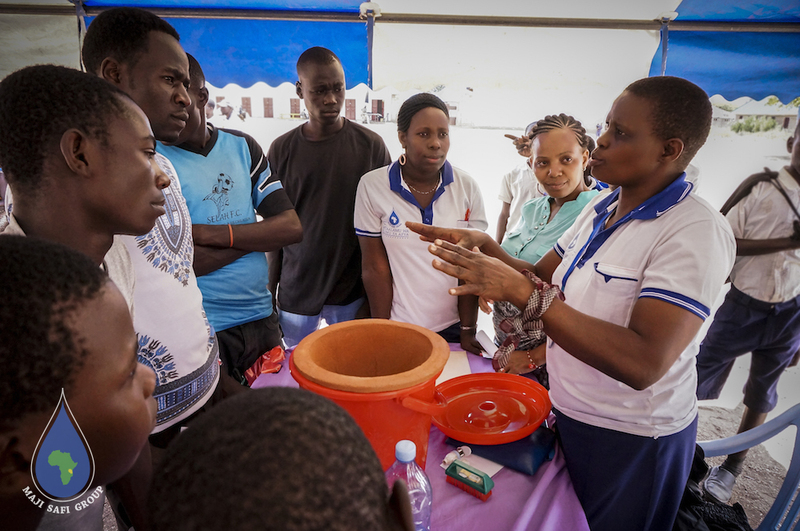 Community Health Educator Caroline teaching about water treatment with a ceramic filter during World Water Day 2017. 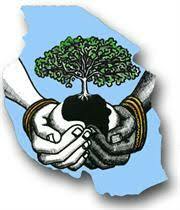 Maji Safi Group has a lot to do with roots. 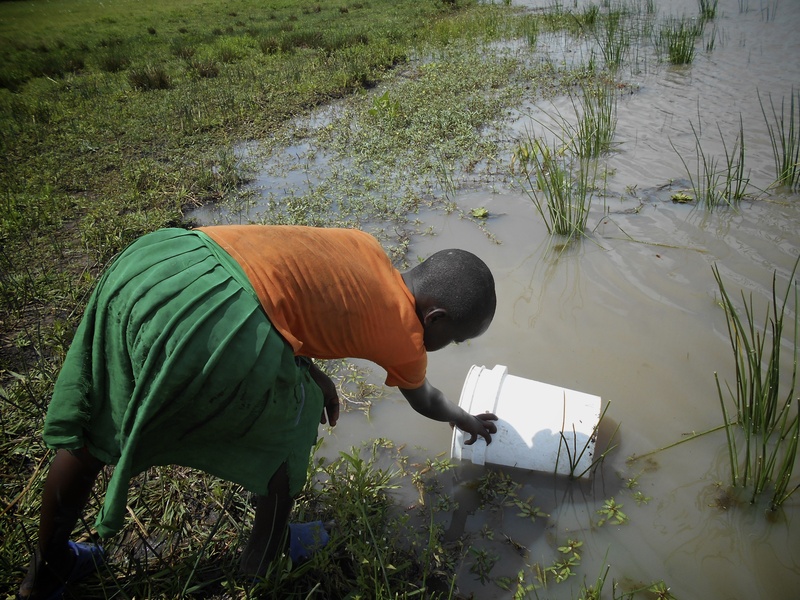 In 2013, our nonprofit took root in Shirati, Tanzania, to address the root causes of preventable waterborne diseases. Accordingly, our grassroots fundraising in the US started taking root in 2013 as well. Since then, Maji Safi Group has put down deep roots in rural Tanzania, helping tens of thousands of residents understand the importance of personal and household hygiene, public health and the economic advantage of focusing on relatively inexpensive disease prevention instead of costly treatment. Good health is the root of a productive life, and Maji Safi Group still depends on grassroots fundraising for our financial health. Along the Front Range in Colorado and all around the world, we have worked had on developing a group of passionate supporters, so our fundraising efforts could develop roots like perennial flowers, blooming year after year, and we are starting to yield a sizeable annual crop. 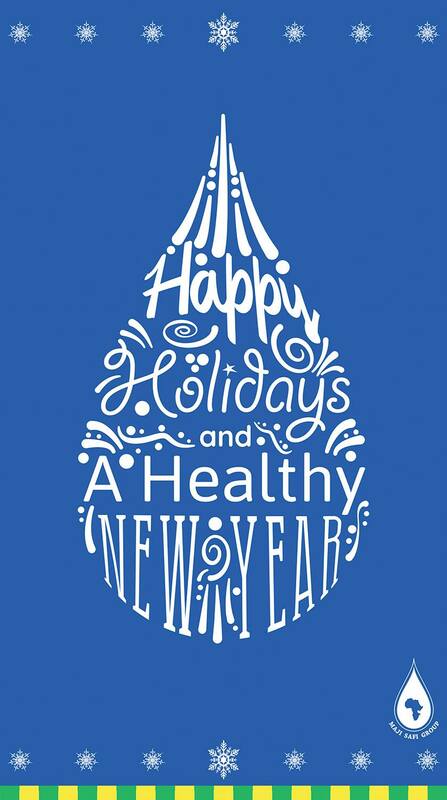 Throughout the year, our fundraising events support the work we do – work that is rooted in a deep belief that participatory development and empowering communities to address their own health issues will lead to healthier lives! Maji Safi Group has developed an amazing base of about 400 loyal and very generous donors from all around the United States and six continents. Thanks to their continued support, we can trust that our funding will be reliable, and we are starting to see more donors believe in PEP – The Power of Extended Philanthropy. When donors commit to a monthly donation, they enable nonprofits to do strategic planning at a very efficient and constructive level. 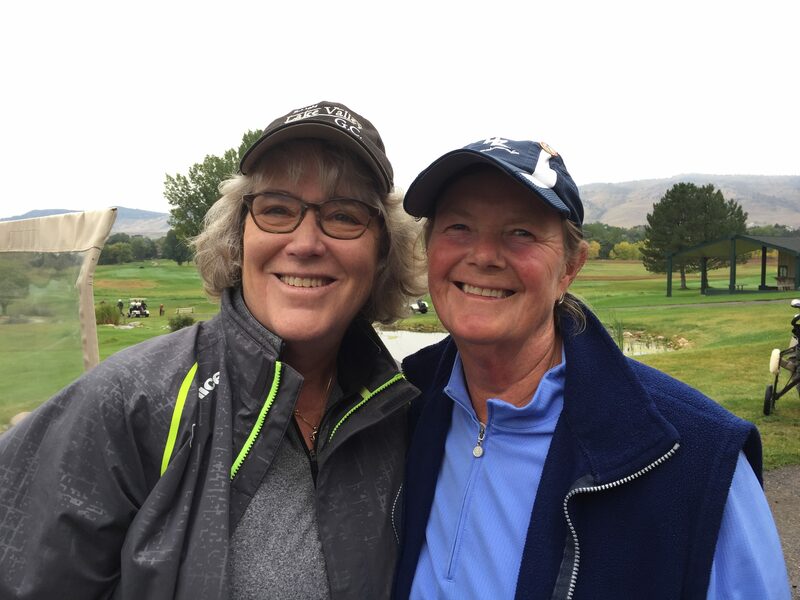 On a little bit chilly September morning, 19 women from the 18-hole league at Lake Valley Golf Club and Maji Safi Group’s president, Bruce Pelz, set out to play the third annual Maji Safi Golf-a-thon. When dusk put an end to play, they had played 613 holes and, thanks to our 107 generous donors, raised $57,000. The Maji Safi Golf-a-thon has become a day of amazing camaraderie and intense physical effort to make a difference in the lives of others. It is the backbone of our annual fundraising efforts. On Dec. 3, eTown Hall buzzed with happy Maji Safi Group supporters as we ran our second annual fundraising party. 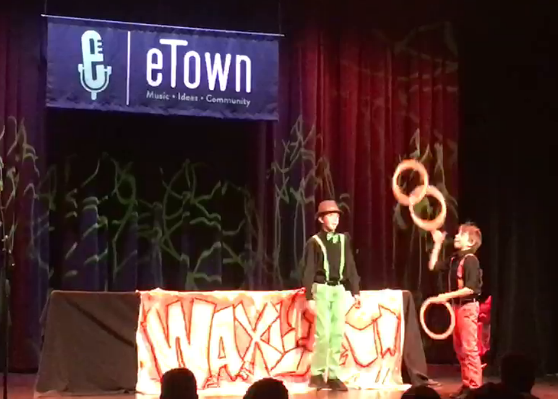 The free afternoon show featured juggling, dancing, singing and a wonderful magic show. The evening show featured great food, open bar, live music, and fundraising games. This year, we added a holiday market stocked with authentic Tanzanian art and crafts items, gift certificates and items donated by Boulder restaurants, merchants and artists, and beautiful quilted creations from the Front Range Contemporary Quilters. Throughout the night, the holiday market was teeming with eager buyers looking for holiday gifts for family and friends. After doubling our income from the first year, we have already booked eTown Hall for Dec. 2, 2018 for our third annual fundraising party! For the second year in a row, Maji Safi Group received dozens of donations on Colorado Gives Day, enabling us to get part of the one million dollar incentive fund. This year, MSG raised over $30,000 on Colorado Gives Day! The donations we receive this late in the calendar year enable us to enter the new year on very sound financial footing. 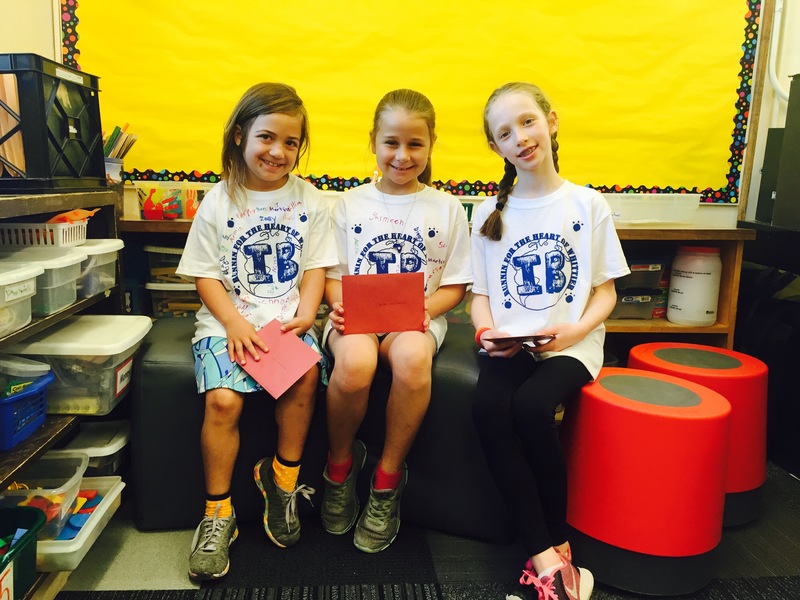 The Maji Safi Read-a-thon at Whittier International Elementary School in 2013 was our very first fundraising effort and the start of our work with students along the Front Range in Colorado – our ‘young global citizens’. 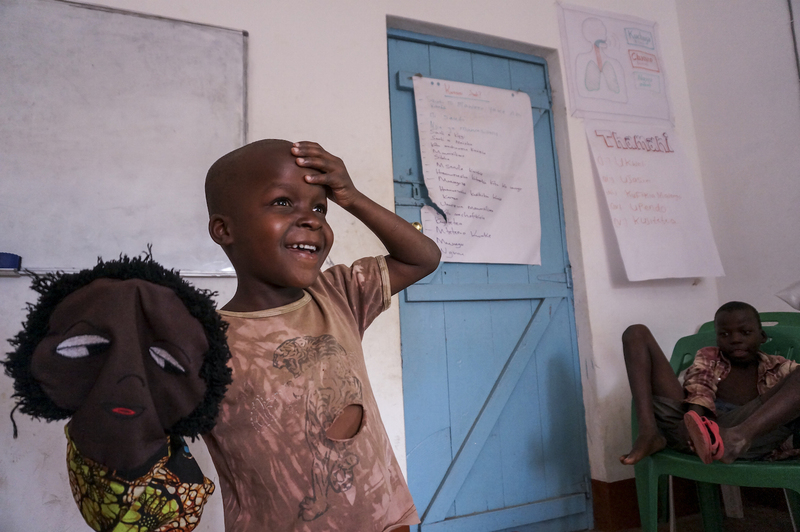 The Maji Safi Read-a-thons are a win-win situation where children improve their reading skills and learn about global issues, social responsibility, and helping others through personal effort, while raising about $8,000 for Maji Safi Group’s After School Program in Tanzania. 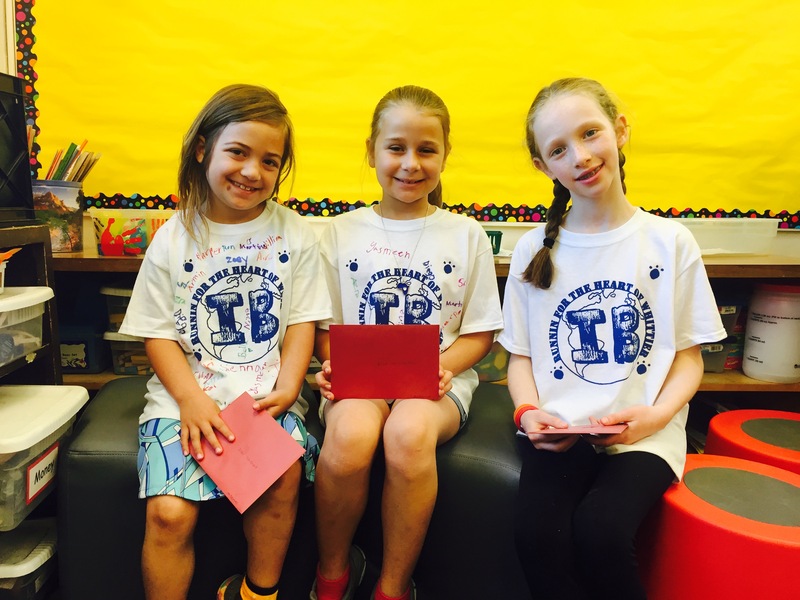 In 2018, we will run three read-a-thons in Boulder Valley District schools: our sixth annual at Whittier International, our second at Ryan Elementary and our first at Heatherwood Elementary. Maji Safi Group has been working with students in the Leadership Class at Casey Middle School for four years, and it has now become a tradition. After an informative presentation about MSG’s mission and work, the students can choose to do ‘Global Improvement Projects’ (GIPs) with us. The projects typically help spread awareness of WASH issues and MSG’s work – some also raise funds for our work. Each spring, Maji Safi Group is part of Casey’s annual ‘Africa Night’. Maji Safi Women’s Days Out have become a fun way of raising money. Boulder restaurants donate a lunch that is followed by a professionally taught art class. 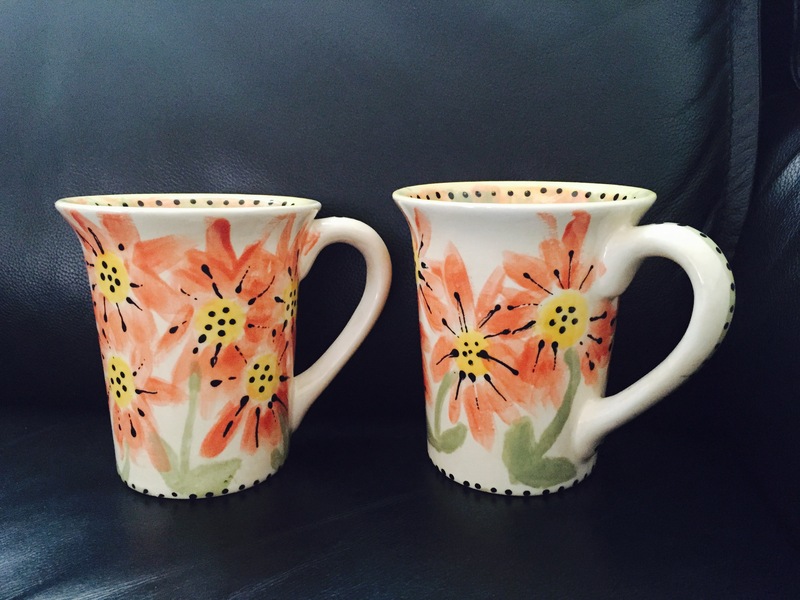 In 2017, we hosted two such days, one at The Kitchen/The Generous View Studio and one at Restaurant 4580/Shelley Goddard’s Private pottery studio. 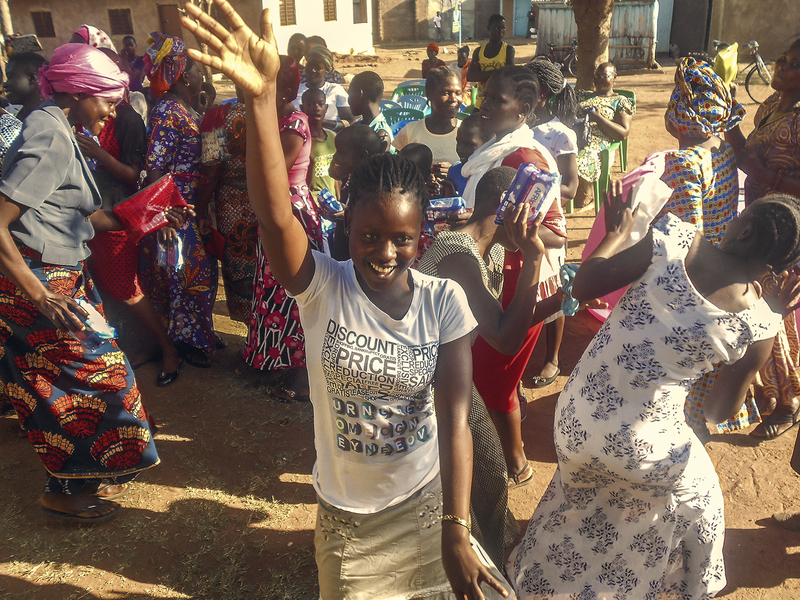 Supporting women in Tanzania while having fun together through creative art projects in Boulder is another win-win situation that is becoming a popular part of Maji Safi Group’s fundraising. For several years now, a group of Boulder friends have gathered in the spring for a small fundraising dinner. 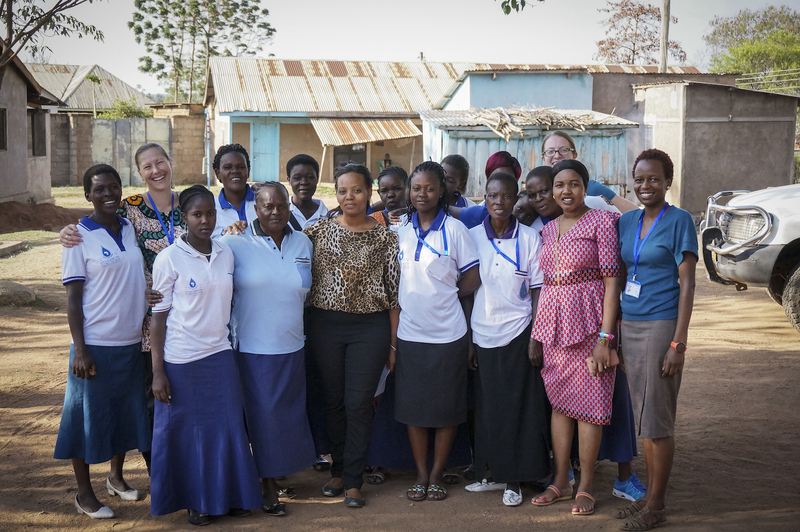 The idea behind ‘If we dine one, they can dine twice’ is to raise money for the Dining for Female Hygiene events in Tanzania where participants in our Female Hygiene Program bring together their mothers, grandmothers, aunts, etc. for dinners that feature food, Menstrual Hygiene Management education and the sharing of stories about the female experience. The Generous View Studio is a privately owned art studio in Boulder with a gorgeous view of the Flatirons. Through art, the studio creates community and encourages generosity as all income from classes and rentals benefit Maji Safi Group. 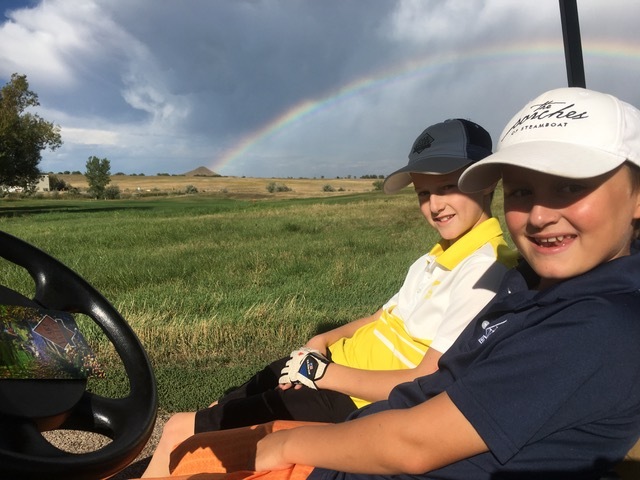 On Sept. 10, we ran our first Par-3 fundraiser in cooperation with the Lake Valley Junior Golfers and raised just under $1000. Together, we invited the golfers to pay $10 to try to win fun prizes by hitting the green in one shot, getting inside 15 feet of the pin, and closest to the pin. We hope to repeat this fun event at Lake Valley in 2018 and find additional golf clubs that will host us. As a nonprofit passes its infancy and proves programmatic success and sustainability over time, its access to grants increases. In 2017, Maji Safi Group received several grants from US as well as European grantors. We are thrilled to have reached this point in our growth and hope to obtain additional grants in 2018. Grants and donations from family foundations are also valuable in terms of proving our status as a publicly funded nonprofit. In 2018, we hope to add a Maji Safi Walk as a new annual event, and we hope to move into the realm of working more with corporate donors, larger grant makers, major individual donors and crowdfunding. Please support us generously in 2018 to celebrate our fifth year of operations and help us continue to grow! One of the biggest impacts you can make is sharing your interest in Maji Safi Group with friends, colleagues and family members as well as participating in our many entertaining fundraising events. Every time you or a connection sends a donation our way, you can be assured it will improve the health of underserved populations. Maji Safi Group will always stay close to our roots, but in our fifth year and beyond, we will keep growing towards the sky. Please contact Erna Maj at erna@majisafigroup.org if you would like to participate in one of our fundraising events, learn more about MSG’s partnership with the Generous View Studio, run a crowdfunding campaign for us, host a dinner party, etc. 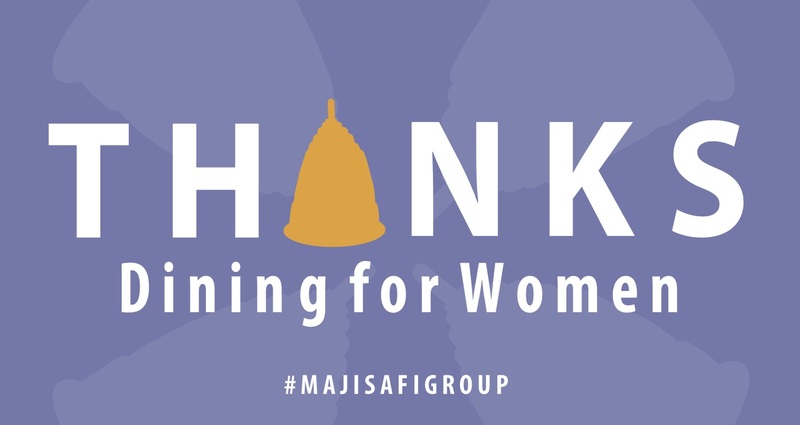 http://www.majisafigroup.org/wp-content/uploads/2016/04/Darkened-Background.jpg 760 1280 admin http://www.majisafigroup.org/wp-content/uploads/2016/05/Maji-Safi-Logo-Clear.png admin2017-12-27 05:49:202019-01-30 18:43:182017 – Another Successful Year of Fundraising! Eli Horowitz is getting his MSW at the Brown School of Social Work at Washington University in St. Louis. He came to Maji Safi Group this summer to work with fishing communities in participatory learning and action, a series of group activities designed to help communities learn more about themselves and identify priorities for development. His professional background is in social work, especially working with kids in experiential education settings. He spent several summers working with camps as a wilderness professional, which included team building games and low ropes activities. It was just before lunch, and there I was, tool in hand, sawing away at one of the yellow water buckets that are so ubiquitous around Shirati. I got more than a few confused looks and at least one, “Unafanya nini?/What are you doing?” But I was undeterred. What was so important that you would waste a water jug when water storage is so precious in Shirati, you may ask. Games for teaching good water, sanitation and hygiene (WASH) behavioral habits of course! Games that would entertain, engage, and teach teamwork and problem solving skills. 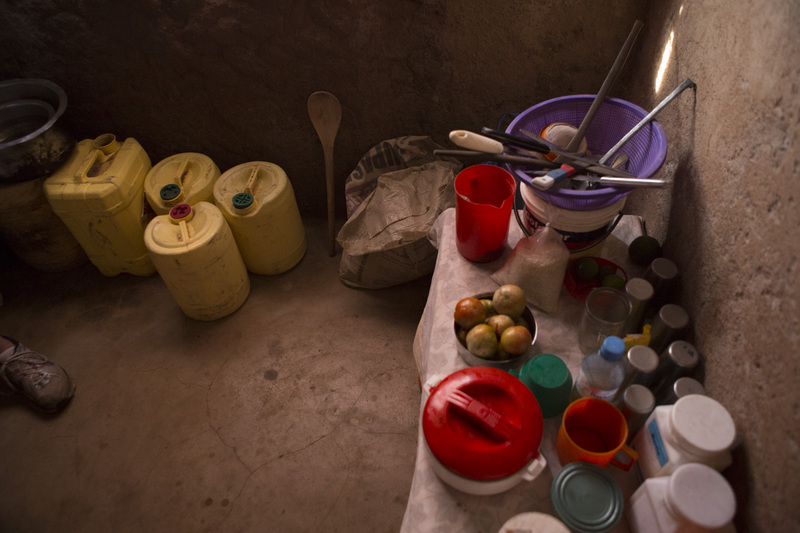 “Yellow Jugs” being used to store water at a home in Shirati. As all the Mabalozi/Community Health Educators gathered in a circle under a tree in lieu of their normal Monday morning staff meeting, I was nervous. 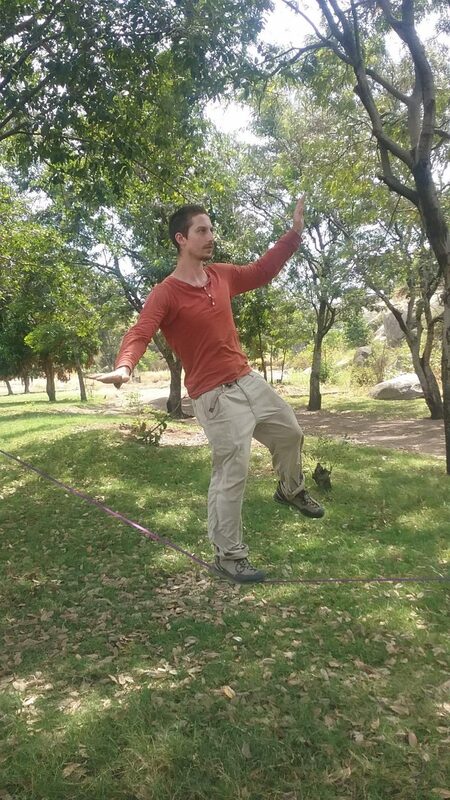 I tried to explain why experiential education is important, but through an interpreter, it is always hard to know if you are getting the right message across, and besides, these games are better understood through doing than saying. We began with a simple icebreaker called ELECTRICITY. The participants hold hands in a circle, and everyone squeezes hands one after another to see how fast we can make it around the circle. The game is called Electricity for a reason, but this time it did not quite give a jolt. “Why are we doing this?” one participant asked. It was not an answer I had readily available, so I tried to do the only thing I knew how: facilitate another (more fun) game. When we separated into groups for HUMAN KNOT, the mood changed immediately. It reminded me why a good challenge is important: When people are having fun and are challenged, the question shifts from “Why are we doing this?” to “How do we do this?” Playing Human Knot, the Maji Safi staff members were challenged in a fun way and even requested to play again just to finish working through the problem. By the time we finished, the groups had each given themselves a hearty applause and were eagerly asking for the next game. Community Health Educators playing the “WATER FETCHER GAME”. From there, things got exciting! We finally got to play the ‘WATER FETCHER GAME’! “You can’t step into the circle; otherwise; you’ll get bilharzia!” participants were warned, referring to the danger of entering Lake Victoria’s parasite-infected water. Through cooperation and conversation, the Mabalozi were able to use ropes to manipulate an elastic band around the yellow water jug I had prepared the other day (= putting on a water filter). Afterwards, they used group problem solving to flip the bucket (= fetching water) and put a ball inside (= treating water with WaterGuard). Confusion gone, the Mabalozi were all smiles. I asked who felt they could facilitate this game with kids at Maji Safi programs, and everyone raised their hands. I was all smiles, too. 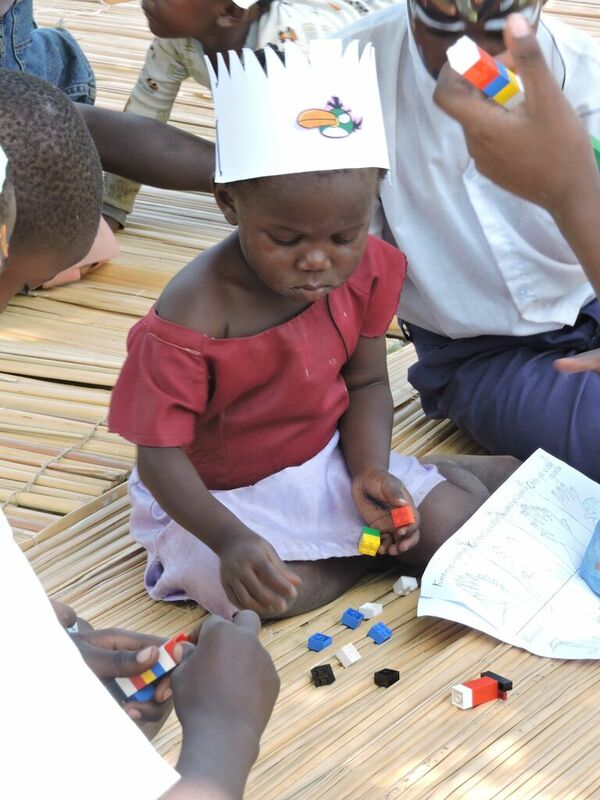 MSG focuses on incorporating cognitive development into our programs through different games and activities. We finished off with a classic game I grew up playing while attending Bar and Bat Mitzvahs: COKE AND PEPSI – a game that involves plenty of running, enthusiasm, and general silliness. The game ended with all in breathless laughter. Today, nearing the end of the week and preparing for health screenings, the Mabalozi asked me if they could bring the game to the program they were running this afternoon. I haven’t stopped smiling since.